I'm taking a break from our regularly scheduled dinner recipes to share something even more fun with you on this Wednesday: Brinner! A.k.a Breakfast for Dinner. February is National Hot Breakfast Month (and fun fact: yesterday was National Pancake Day), so when the good people at Krusteaz asked me to honor this month by coming up with a delicious breakfast recipe that you could serve to your family-- for breakfast or for dinner-- I was totally on board! Breakfast for dinner is a fun way to change up your weekly dinner routine and a lot of the time, breakfast can be a budget-friendly dinner alternative too! 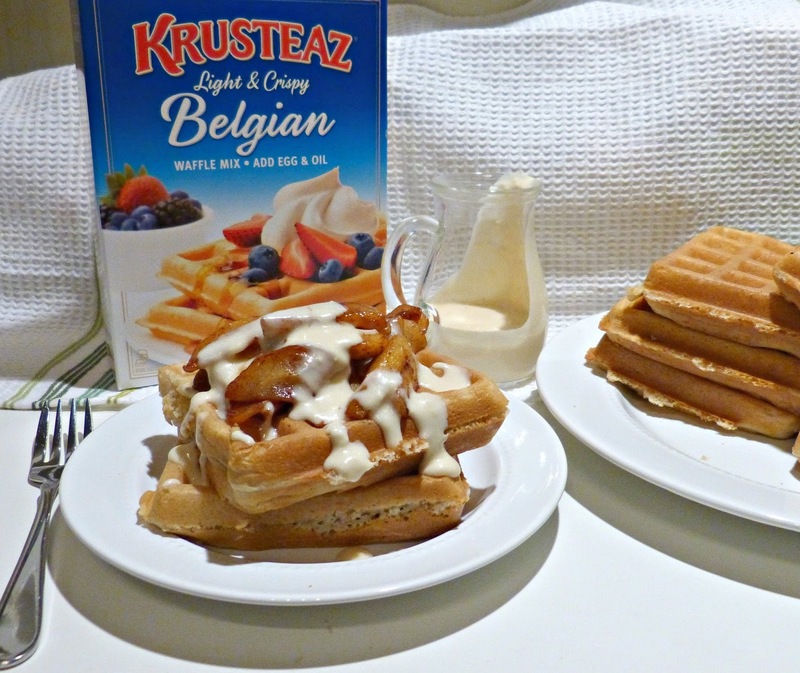 Waffles always feel like a really fun treat to me and the Krusteaz Belgian Waffle Mix makes perfectly light and crispy waffles, so I decided to make those the base of my brinner feast. These waffles have a great taste and texture, but I highly recommend following taking Krusteaz's advice and using cold water when you're preparing the batter. It makes the final product extra light and fluffy! I folded in a little bit of cinnamon before baking the waffles to complement the sweet spiced cinnamon apple topping. 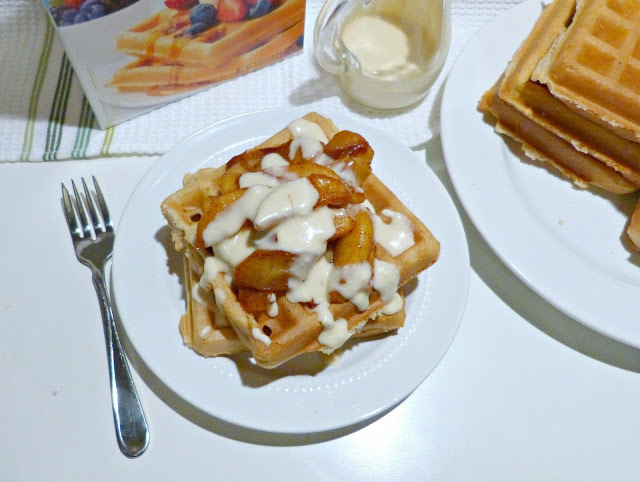 And speaking of the topping: these apples are an easy and delicious way to dress up your waffles-- or even your pancakes! They're sauteed in butter until softened and coated in a wonderfully sticky cinnamon and brown sugar mixture. 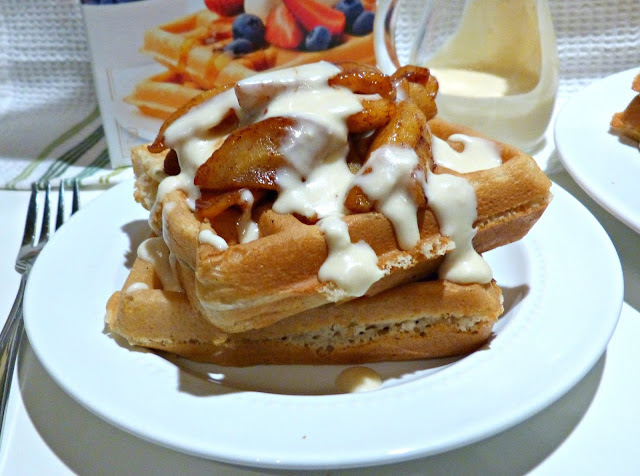 The apples come together quickly and can saute away while you prepare the finishing touch for these decadent waffles: the maple cream cheese drizzle. This sweet and creamy topping is a dressed up version of the most traditional waffle and pancake topping. The cream cheese adds delicious richness and a little tang to offset the sweetness of the maple syrup and the apples. Together, it's a breakfast-- or dinner-- that your family will absolutely love! Serve it as is or maybe with a side of bacon or breakfast sausage for a complete brinner. In honor of National Hot Breakfast Month, Krusteaz wants to make sure that one lucky A Squared reader is able to make a hot and delicious breakfast all month long, so we've partnered up on an awesome giveaway today! Use the widget below to win an amazing prize pack including 2 boxes of each of Krusteaz Buttermilk Pancake, Belgian Waffle, Muffin, and Blueberry Pancake mixes, fun kitchen items like a pancake spatula, a pancake griddle pan, a squeeze bottle for pancake art and an apron, and Breakfast Night inspiration including sample Breakfast Night recipes. Enter below for multiple chances to win-- and don't forget to add breakfast to your weekly dinner rotation! Heat and lightly grease Belgian or conventional waffle iron. Heat butter in a large skillet over medium heat. Add the apples and a pinch of salt to the pan. Sauté for 12-15 minutes, until apples are golden and begin to soften. Stir in lemon juice, cinnamon, nutmeg, and brown sugar. Stir to fully coat. Cook for an additional 5 minutes until the sauce begins to thicken. Keep warm over low heat until ready to serve. Combine cream cheese, butter, maple syrup, and sugar in a medium mixing bowl. Using a whisk or a mixer with whisk attachment, beat ingredients until smooth and fully incorporated. 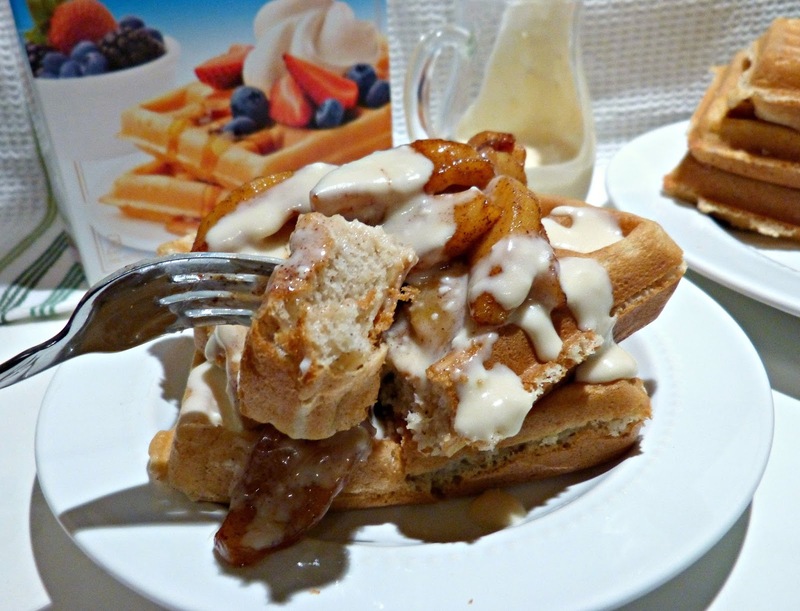 Plate warm waffles and top with a large spoonful of cinnamon apples. Drizzle with cream cheese mixture and serve. Editor's Note: This post was sponsored by Krusteaz. All opinions expressed herein-- as always-- are my own. My favorite breakfast is yogurt and blueberry muffins! I like egg burritos, loaded with bacon, sausage or ham. One thing we do on occasion is make extra thin pancakes and use them as tortillas, though they are very fragile. That sounds like such a fun idea for breakfast! And a perfect breakfast on the go! Sweet and savory. Yes, please! I love a good Benedict too! 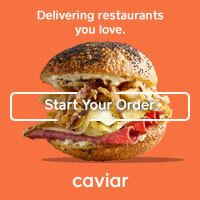 Another great sweet + savory option! My favorite right now are pancakes. I love some fluffy pancakes too. I love to have crepes with fresh raspberries and lots of whip cream. So fancy, but so delicious... and maybe some Nutella too! Yessss potatoes all the way! Nothing like a classic American breakfast! Oh I have to say my favorite is pancakes and sausage! I like pancakes the best. Pancakes are one of my faves too! Pancakes, biscuits with sausage gravy, bacon, waffles... I love it all! I love fruit topped waffles.